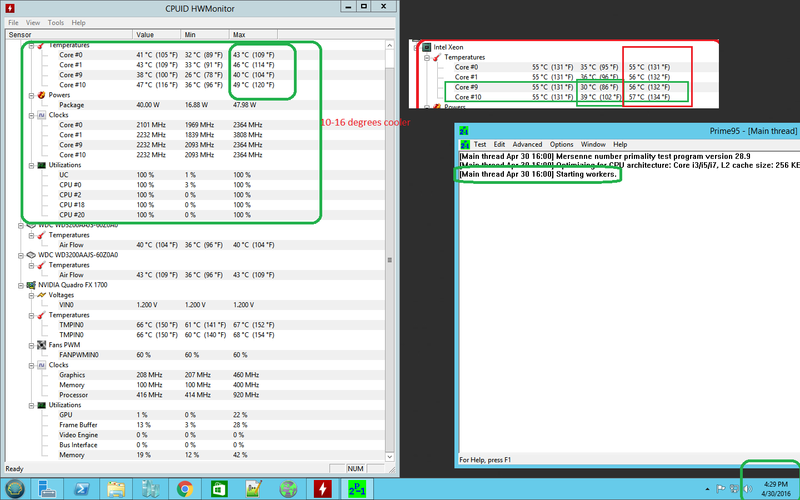 using single xeon L5630 and doing prime95 for small ffts after 30 minutes its temps would be at 55 degrees for every core even using the dell U016F with halnzyie hy880 thermal paste. i attached small 60mm 12volts (0.16 amps ) fan to it. now its temps are 10-16 degrees cooler. no noticeable increase in noise. here are specs of the fan ,, the heatsink can accomodate 70mm fan as well. 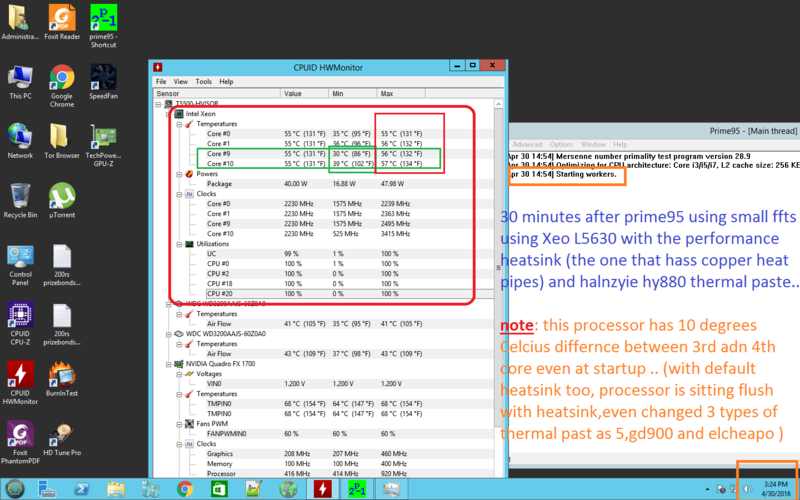 screenshots of hwmonitor and prime95 using default cooler and a fan attached to it are shown. 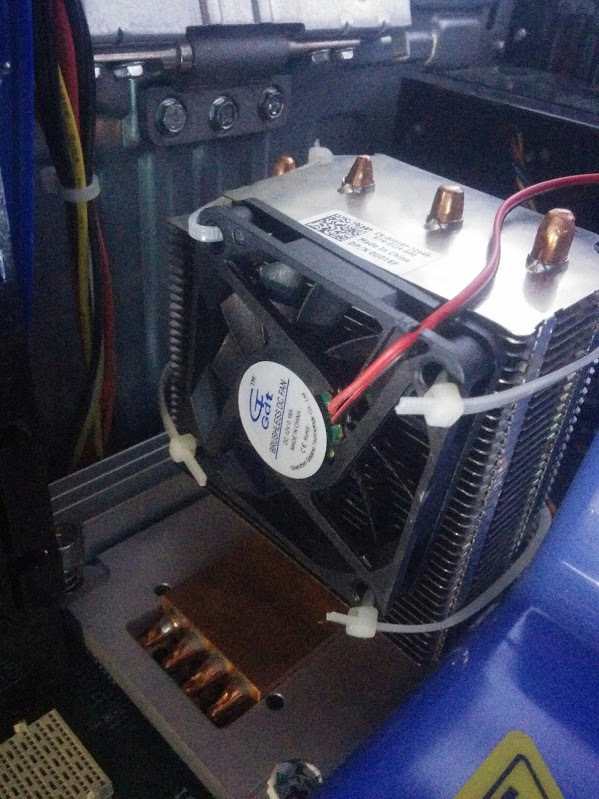 pics of how the fan is attached to cooler is also attached. And, ... zip ties make the world go around.